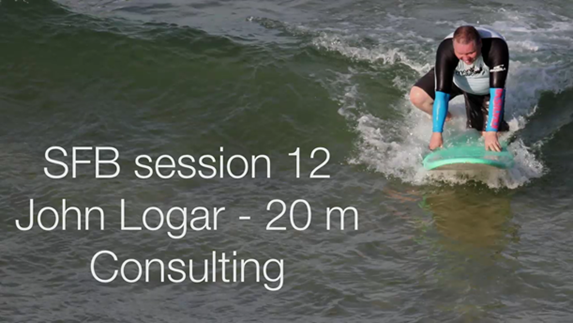 An active member of the SuperFastBusiness community, John Logar is also a successful local business consultant. In this talk from the SuperFastBusiness 9 live event, he shares real-life pointers that you can immediately implement to put more money into your business bank account. 05:24 – What does the average consultant make? 06:45 – How is your cash flow? James: All right, so next up I’ve got to call John Logar. He’s getting there with the surfing. Was that your first time? First time ever? OK, so what we’re going to do is, firstly, John is in the community, very active. He’s like a travelling salesman, I suppose. He goes from local meet-up to local meet-up, he’s got a little local business consulting gig running. I think he’s kind of a success story from one of the previous events. He really implements stuff. And so he’s earned this spot. So John, come up and share 20 minutes with us of your best stuff. John: Thanks. Appreciate it, thank you. What I’d like you to do is, I’m going to be very quick today, but I want to share some things that you can actually take away and apply in your businesses when you leave this conference. OK? And the idea is to put money in your bank account. Good idea? All right, good. So, I’m going to talk about the business of selling offline to online, or online to offline. I’m going to talk about some strategies that really work, where the money is, in this business, and I’m going to talk about an actual campaign you can run, apply straight away, and profit from. Great? Cool. 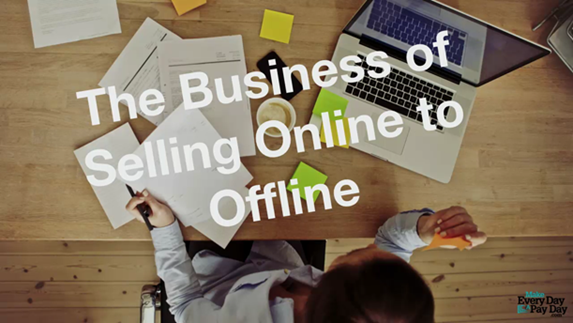 The business of selling online to offline. I just want to just give you perspective on this, because how many people in this room are actually selling services to offline businesses, marketing services? About half. How many are selling a product online? About half again. OK. So both of you are going to benefit from this presentation. But the services to businesses offline, we haven’t even scratched the surface of the opportunity and the potential of the revenue that you can generate as a business model selling Internet marketing services out to the offline world. OK? Ninety-eight percent of websites have not been touched for more than five years. They don’t have opt-ins. They don’t have automation. They’re not using tools. They’re not actually campaigning to anybody. They’re not actually offering anything to anybody. So can you imagine the potential and the opportunities out there? What I’m going to share with you is how you can get into people very easily, to help them get on board with online. So first of all, the middle man marketing business. This is the most profitable model in the consulting world. 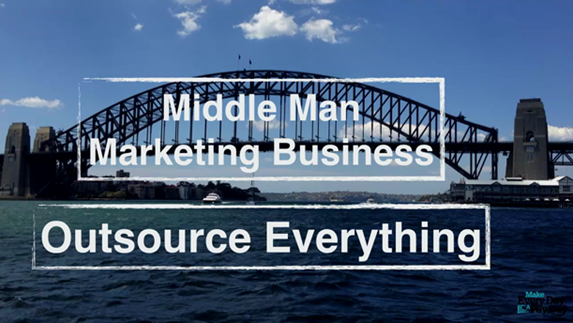 What middle man marketing means is I’m an online consultant, I need to run a direct response campaign online for my client, I hire somebody like Walter, with exceptional copywriting skills to develop a strategy and a campaign. I invest some money or bring in somebody who has automation services, for example, Ontraport, OK? I won’t mention the other famous guys, they didn’t bother coming, so screw them. But understand that you can automate that process, and then what I’ll do is I’ll actually hire somebody to implement that strategy, to implement that process. And then I’ll put my margin, which is generally three times the price. Whatever the cost is, times three times, is what I’ll put on it. That’s what I work with. OK? Not double the price. Double the price is only a 50% increase on cost. Triple the price is 100% increase on cost. And then I’ll run the campaign. And I’ve got enough money in the resources that I invest for the client that they’re investing in my services to make sure that I get the best possible result for the client. So as a middle man marketer, I will not build a website for you. I’ll hire somebody to do that for me. I’ll use, I mean James has ATLWeb services, SEOPartner for content and SEO work, Pay-Per-Click services like Mike Rhodes, we’ve got Swift Digital in the room. I will not do any of the work. The best money that I can make is to sell more of what I do, and that’s the result to the client. So middle man marketing business is very, very profitable. The average consultant in the world today, in our game, selling online services, makes about 55 to 75K gross profit. That’s what they make, on average. Average gross profit. Average gross revenue. 75K. What people want, is they want, they think they want, is 120K a year. OK? That’s the magic figure, 10 grand a month. It’s great, I can build a lifestyle business for that. The challenge with 120 grand a year, is they’re not taking consideration of costs, time, effort, energy, and the resources they need to run their business. So that 120K turns into 75K in your pocket. Or 50K in your pocket. Or if you hit the 55K mark, it turns into 35K in your pocket. OK? So where you want to head is the real number of 240,000. Two hundred forty thousand dollars in revenue for an independent consultant out in the market is roughly five clients paying you three to six grand a month. Gives you that revenue, on retainer. That’s not a lot of clients, yeah? Five clients, OK? A lot of people think, yeah, let’s go and get hundreds of clients. But you don’t need a lot to make a lot in this business in terms of profitability. So here’s the thing. 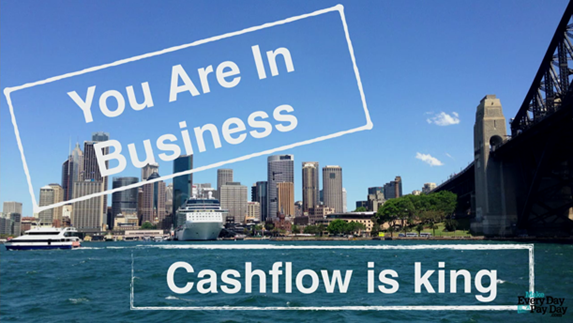 You’re in the business, and cash flow is king. The majority of people that I talk to and I ask, “How’s the cash flow going? Is it looking great?” What do you think the answer is? No, it’s not happening for them. The reason why it’s not happening for them is they don’t focus on the cash flow. They’re focusing on getting things right, getting things packaged right, putting all the steps into place, getting ready. They’ll occasionally go out there, look for potential clients, think about who I can do business with. I’m going to show you 10,000 places you can find great clients that will spend tens of thousands of dollars in marketing services. It’s a really hard site to find. It’s called Google. Right? Very difficult, very plain-looking. But it has magic in it, and I’ll demonstrate where the magic is. So, cash flow is king. The first thing I do in the morning when I get up, I check my cash flow. The next question I ask is, “What am I doing today to contribute to the growth of that cash flow?” And that’s where my activity and exercise goes. If I’m not doing that, guess what doesn’t happen? No cash flow. What you focus on most becomes real to you, in your business. All right, so, stop playing with yourself. OK? You need to get into the game. The only way you’re going to generate revenue is to communicate with your potential clients. Or people who are in business. Or looking for people who have the potential to introduce their friends to you. Strategic alliances in the offline consulting game, online consulting game, is gold. I have a client of mine that I work with, has an accountant as a strategic alliance, and that accountant refers all his clients for online marketing to that person. Every client. They don’t have to do any prospecting. They’ve got three strategic alliances they work with. They don’t do any prospecting for clients. They just sell their services to help advance and generate business online. 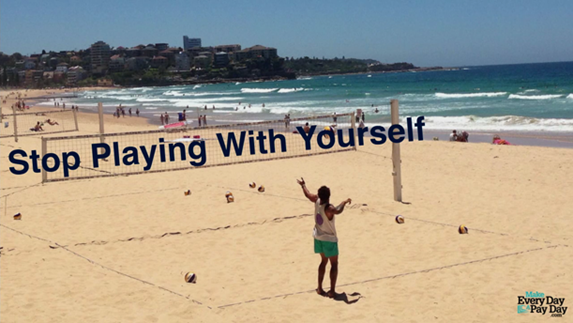 So stop playing with yourself. Get out there and have some conversations. My team supplies wholesale email marketing/lead generation funnel services that people use for this model (if I may say so here). A great idea plus some really useful nuggets for implementing it, John. I had something like this planned but this will help me be even more effective so thanks. Awesome video. Lots of great ideas I’ll be trying tomorrow. Awesome video John. Lot of valuable content. Thanks James. How do we get a copy or John’s template that he has on his desk? Great video! Man there are some smart cookies in this forum! HOLY CRAP! This is what I’ve been brainstorming…. but much better. I truly learned a lot from that. John’s a great business mind!